The recipe is by shaltaiboltai forum Cook. Very gentle and light dessert. Soak gelatin in 2 tbsp of water, let it swell, instant swells rapidly, ordinary — longer. 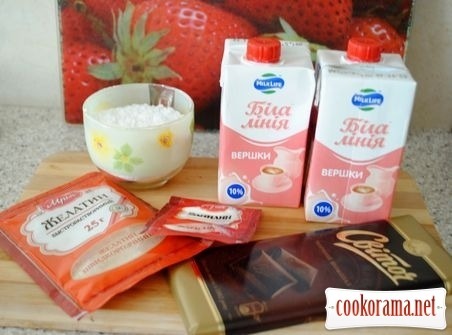 In a saucepan mix cream, vanillin and sugar powder, heat to make cream hot, add chocolate, heat it, stirring till chocolate totally melts and mass becomes smooth, not necessary bring to a boil. Remove from heat, add liqueur. Heat gelatin on water bath, but do not boil! 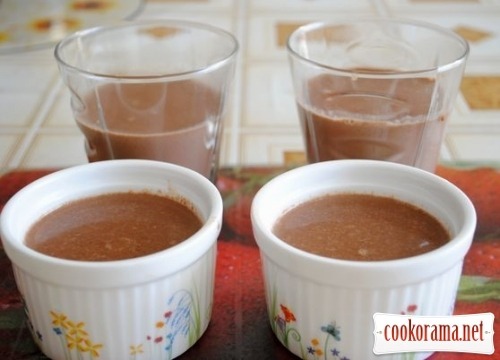 Pour gelatin in chocolate mass, mix it, pour mixture in bowls or molds (if you pour in molds, grease them with some oil or more comfortable to use silicone ones, rinse them with water). After mass cools, remove it in the fridge, better for a night, mine hardened quite long. Next move knife by the edge of mold, and overturn it on the plate, decorate with grated chocolate or prepare raspberry sauce. 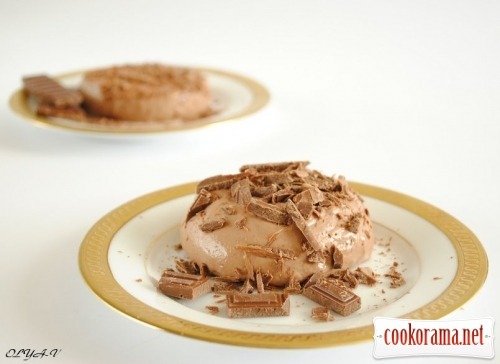 Top of recipe "Chocolate panna cotta"